The faculty development center at the California State University Dominguez Hills has a new blog for faculty and Lu is currently a contributor for the blog series entitled, “The Challenge of Facilitating Successful Online Learning.“ The first in the series is titled Keeping Students Engaged In an Online Learning Environment. It’s a new year everyone and I wanted to take the time to wish everyone an exciting and fresh start. I’d also like everyone to know that a new semester at California State University Dominguez Hills starts next week on 1/12/15 and I will be teaching classes for the College of Extended & International Education. If you are looking to kick off the new year with adding new skill sets in your writing, getting a certificate or just a refresher and would like to learn online instead of driving to a University then check out the classes offered in the completely online certificate program in Technical Communication at CSUDH. I teach the Advanced Technical Communications course and the Information Design course where we work on portfolio pieces providing the student with samples to present to potential employers as well as practical learning experience. I’ve had the privilege of having both international students from other countries such as Russia and Japan to local SoCal students so please take a moment to check out our program. Lu Kondor has worked in engineering and technical writing at major visual motion picture and visual effects studios with more than 25 years experience in the entertainment industry. She is a member of the Academy of Television Arts & Sciences, Society for Technical Communication, the Society of Children’s Book Writers & Illustrators, and Delta Mu Delta International Honor Society in Business. Lu holds a doctorate in business management and has taught as adjunct faculty at CSUDH since 2007. I’ve been blogging lately. On my creative writing blog, Zen Word of Creative Writing, I’ve posted a tip I use to capture my ideas anytime. I am also going to blog at CSUDH faculty blog. MY current post will be about keeping students engaged in online courses. 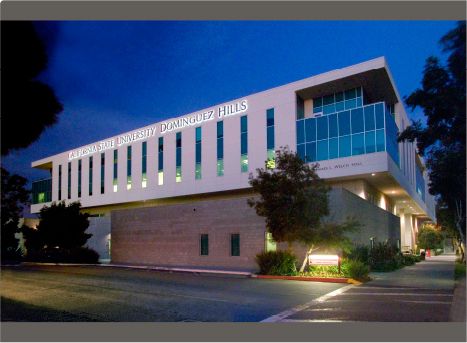 The link for California State University Dominguez Hills is at http://www.csudh.edu/ When I have the link for the faculty blog I’ll post.